Chatham House had a great time at our Chili Cook-Off. Our guests brought their best chili and competed for the trophy while also enjoying some great live music by Rude and Moody Groves. Guests also brought in canned goods to benefit The Lighthouse of Clarkston Supporting Our Community in Need! 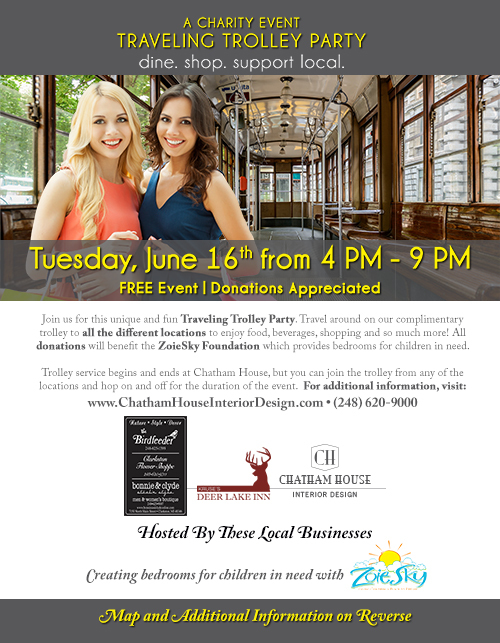 Chatham House had a great time at our Traveling Trolley Party Charity Event. We traveled around on the complimentary trolley to all the different locations to enjoy food, beverages, shopping and so much more! All donations benefited the Zoie Sky Foundation which provides bedrooms for children in need. Click on the image on the right to download the PDF Flyer. 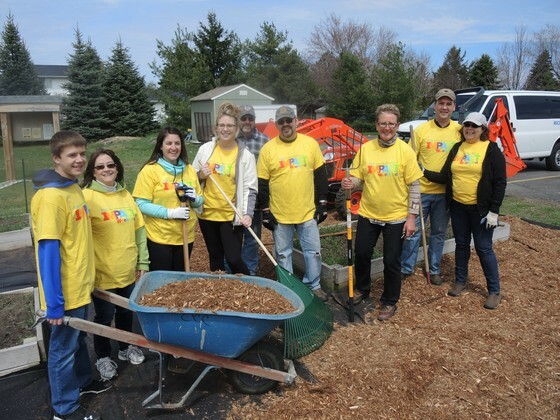 April 30, 2015 - Volunteers spread out across Clarkston to make a positive impact in the community during Clarkston's Community Impact Day. My Habitat Clarkston's project to build a home for one family was also part of the community wide weekend of work.